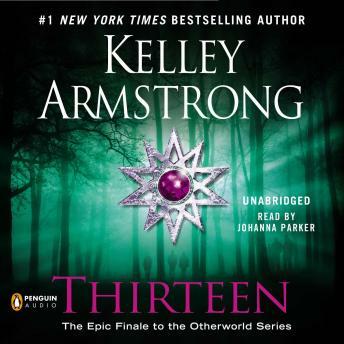 The #1 New York Times bestselling author Kelley Armstrong delivers the novel her fans have been clamoring for: The epic finale of the Otherworld series. It’s been more than ten years, a dozen installments, and hundreds of thousands of copies since Kelley Armstrong introduced readers to the all-too-real denizens of the Otherworld: witches, werewolves, necromancers, vampires, and half-demons, among others. And it’s all been leading to Thirteen, the final installment, the novel that brings all of these stories to a stunning conclusion.